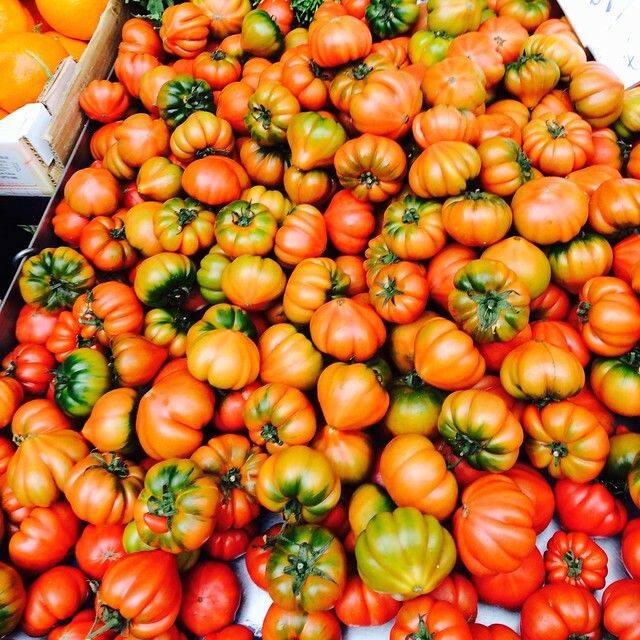 Italian cuisine is famously seasonal, and that is especially true when the summer bounty is at its height. During the months from May to October, the outdoor markets are overflowing with the some of the most flavorful fruit and vegetables you can find, beginning with the first sun-ripened strawberries and asparagus and finishing off with grapes and mushrooms as the temperatures fall, and this produce is the foundation of the season's menus in homes and restaurants down the peninsula. Between those two edible bookends, there are tomatoes. This fruit-which-self-identifies-as-a-vegetable is the foundation of many of Italy's most beloved dishes...though, of course, it was brought back to Europe from the New World during the Renaissance along with the potato, corn, and cocoa bean. Tasting a genuine, pungently flavorful, authentic garden tomato is a life-altering experience, and you will find it almost impossible to go back to tasteless, out of season supermarket tomatoes. Bruschetta - which is simply toasted bread with a topping - comes in all shapes and sizes depending upon the season, most commonly newly pressed olive oil in the fall, truffles in the winter, lardo di Colonnata in the spring, and fresh tomato in the summer. Bruschetta al pomodoro is the perfect starter for a meal: a crusty slice of bread drizzled with olive oil and then piled high with diced fresh tomato which has been seasoned with additional olive oil, salt, minced basil, and sometimes garlic. Allowed to sit a few minutes, the tangy juice of the topping is absorbed by the bread, and makes for a delicious, if slightly messy, mouthful which can be found virtually everywhere in Italy. 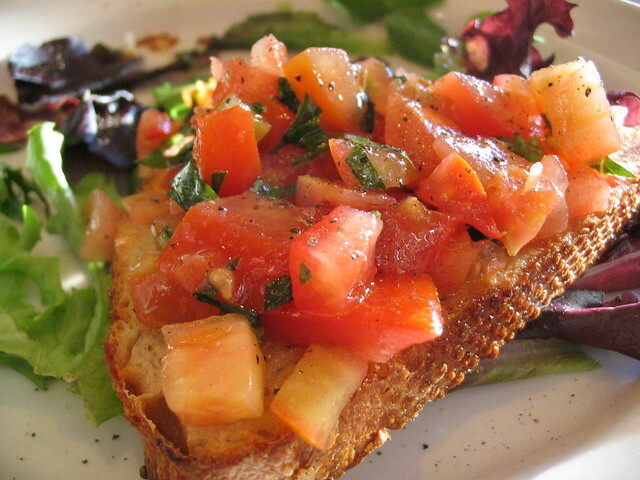 Take the exact same ingredients as bruschetta al pomodoro and combine them differently, and you have pappa al pomodoro. This traditionally Tuscan dish is a thick potage based on Tuscan bread (usually stale), cooked tomatoes, olive oil, basil, and garlic and is a perfect comfort food when served hot in the winter - using the tomatoes canned the summer before - or refreshing gazpacho-esque repast when served cold in the summer, with tomatoes cooked directly from of the garden. 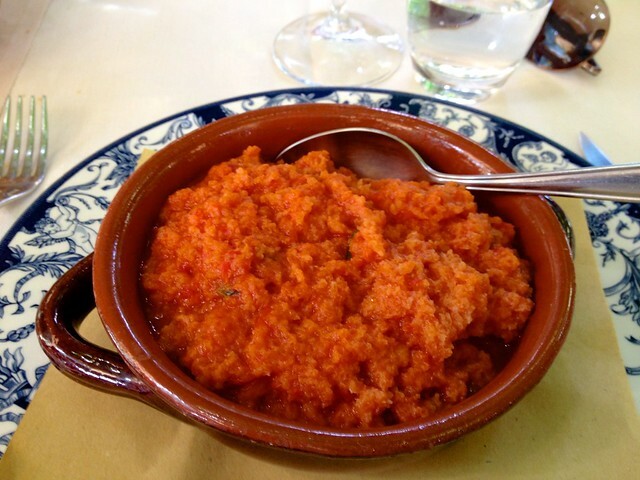 This is usually served as a primo, or first course, and when made by a Tuscan cook in a tiny trattoria in the countryside, rivals any three star Michelin dish in Italy. 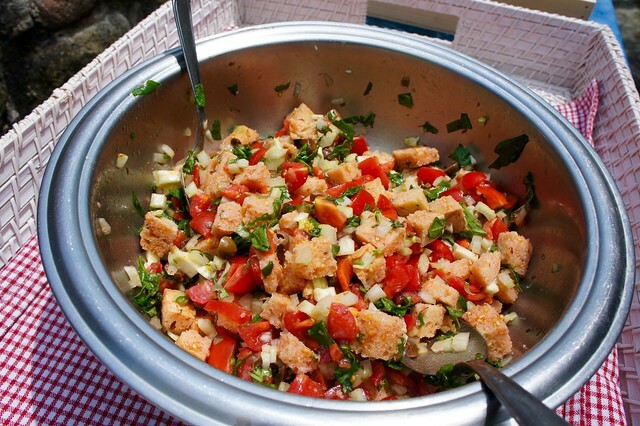 Perhaps the most elaborate of Italy's summer tomato dishes, panzanella can be found across central Italy. This is an absolutely delectable summer salad, based on cubes of day-old bread soaked in a water and vinegar solution and then squeezed dry, tossed with fresh chopped tomatoes, olive oil, and almost always red onion. From the red onion on, panzanella is a product of the taste and creativity of each kitchen, and additional ingredients run the gamut from chopped lettuce and celery, sliced cucumber, olives and capers, sweet pepper, and even mozzarella or tuna. 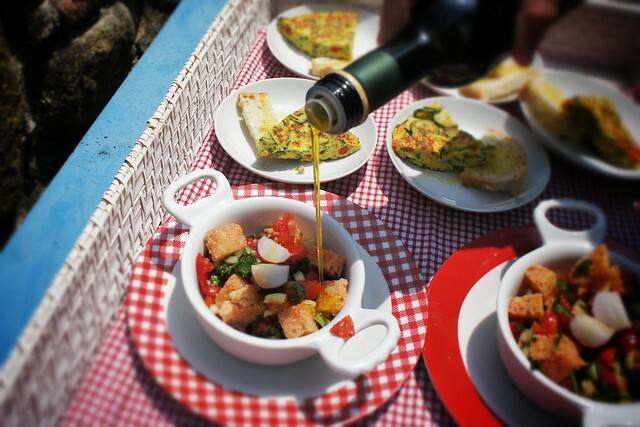 A satisfying yet light dish that can be either a side dish, starter, or primo, a good panzanella is summer on a plate. For an example of how just a few, high quality ingredients can, through gastronomic alchemy, produce an unforgettable dish, consider the caprese salad. Here, slices of mozzarella - buffalo if in the south, and cow milk if in the rest of Italy - and fresh tomato are dressed with basil leaves and a drizzle of olive oil. 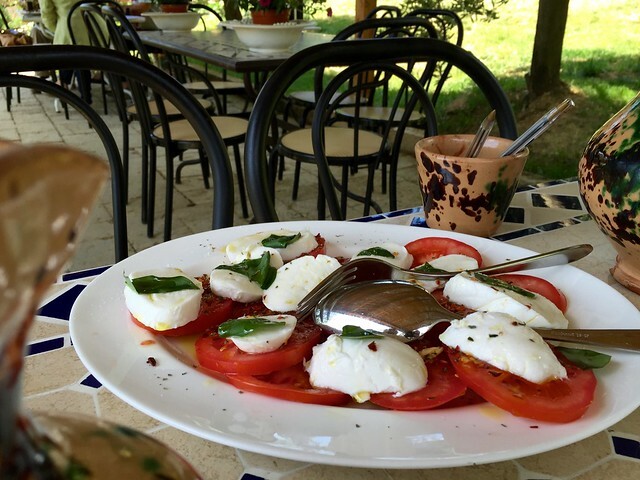 That's it, yet it's enough to make “il caprese” one of the most beloved summer repasts in Italy. As the name suggests, this dish reaches its gastronomic peak on Capri and the Amalfi Coast, where the ingredients are all fresh and local, but you can enjoy an excellent caprese anywhere in Italy as anything from a starter to a second course.